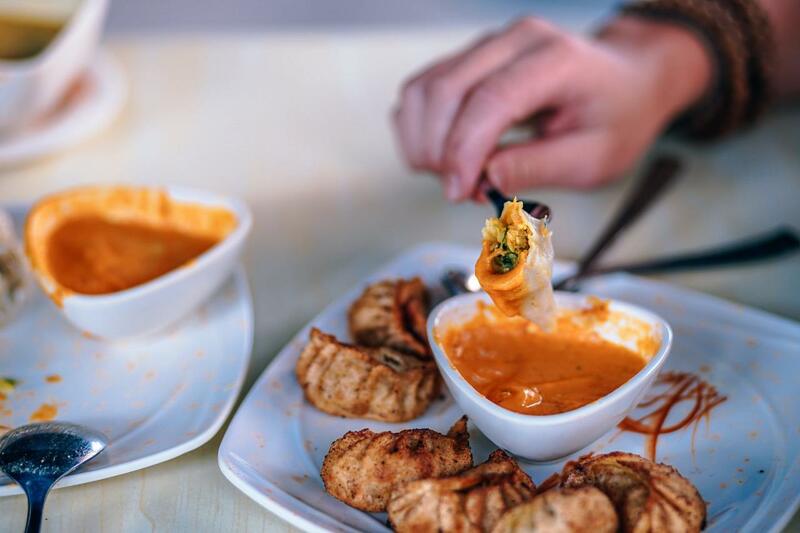 The popularity of Asian finger food and bowl food is trending in private parties and corporate events.These exquisite bites just look amazing and taste delicious. Join us now to make your favourite Asian finger food and canapé perfect for your next party from the most successful recreational cooking school in Melbourne. We host scheduled classes Thursday to Sunday. During our cooking classes, our friendly instructor will take you step by step through different finger food types, recipes and top tips you need to gain confidence in the kitchen and wow your guests at any finger food party. Everyone cooks around our long hand-made spotted gum kitchen bench for the most sociable experience. 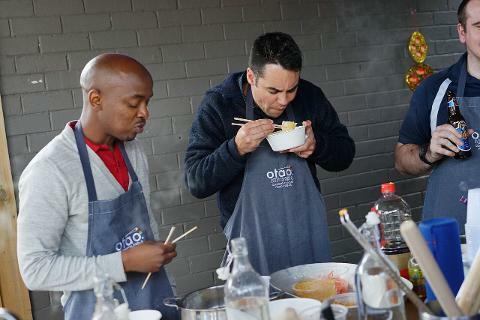 Each month you will learn simple but well thought out finger food and street foods from Japan, Thailand, China or Vietnam. From spring rolls, sushi and satay and more. This cooking experience is about big and small bites and all together we will have a big feast for everyone! Join our team of experienced chefs and professional service staff in this interactive cooking class with amazing stories and memories. Asian Finger Foods Cooking Classes are a perfect solution for your Christmas Party, Birthday party, Anniversary, Hens Party, Bucks Party, Team Building Cooking, Work lunch and dinner or Corporate event. 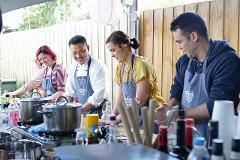 We can organise the This Cooking Class at your home or any chosen venue for 50+ people.